Was the gold nail set not enough for you? Maybe, like me, you love silver tone so much more. Again, perfect for Christmas and gorgeous for New Year’s. This set is out of this world classy and I think you will love it! 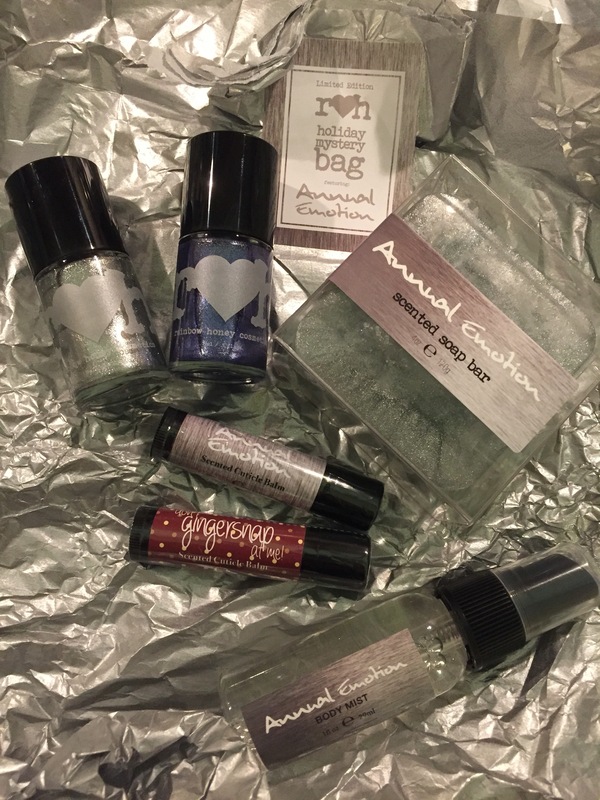 Annual Emotion Silver Nail Polish. It sparkles, it’s silver, you know it will be awesome! Purple Royal Cream Nail Polish. It’s purple. Do I really need to say more? Annual Emotion Body Mist. Not too much and easily portable! Don’t Gingersnap at Me! Cuticle Balm. Not gonna lie, I love gingersnaps. It’s a complete spa set for your hands and I think it will be perfect for any classy dinner affair coming this year! Got hot plans as the New Year takes off?